Standards: DIN ISO 9655. IEC 61340-5-1. Head shape: Round, short jaws. Design: Smooth gripping surfaces. With opening spring. Surface resistance 10^6 - 10^9 ohms. Material: C 45 special tool steel, hardened and tempered. 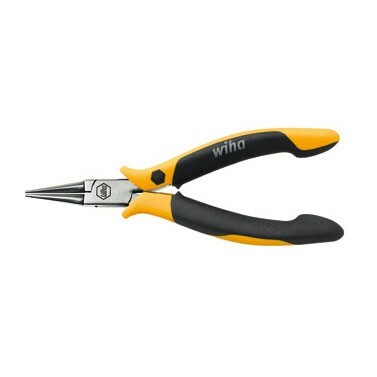 Application: Mainly for precision gripping and bending work.